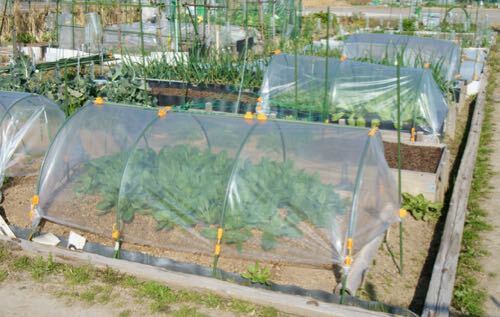 Agricultural products require protective film that can aid in propagating crops resulting in abundant harvest and higher yield. As food production becomes more demanding the need for durable and affordable agricultural films and sheeting for multi-purpose applications has increased as well. Polyethylene sheeting can be used as agricultural film for many agricultural applications. The film provides simple, versatile, and inexpensive protection for crops. This durable plastic can enhance crop quality and productivity while taking into account environmental considerations, water consumption, and material costs. It also has the strength to withstand UV radiation, fertilizer, and other agro-chemicals. Polyethylene films in Hartford, CT comes in three different weights and two colors with a wide range of sizes and gauges so the appropriate film can be selected for the specific application that the crops require. Contact Atlantic Poly to find out more about polyethylene sheets for agricultural uses.